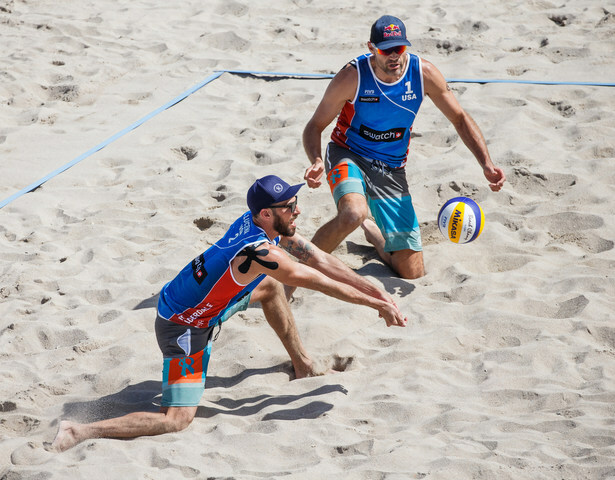 Phil Dalhausser and Nick Lucena, Olympians and Florida natives, signed a multi-year deal last week with the Florida-based volleyball apparel line, Rox Volleyball. The duo and Rox Volleyball are both nationally recognized for their dedication specifically to the sport of volleyball. Working together they will launch a series of camps and clinics that will promote the growth of the sport amongst junior athletes. Nick Lucena, Dalhausser’s partner in the 2016 Summer Olympics, says he plans to create something that wasn’t available to him when he started playing beach volleyball. The camps and clinics are set to launch this spring and will be tied into the company’s junior volleyball tour, the RoxVB Series. The mission of the RoxVB Series is to unite the sport of volleyball across the nation by offering competitive play with no required memberships fees or organization affiliation. Rox Volleyball will also be launching a signature line for the Olympians in early May. The line will be a collection of their favorite board shorts. Dalhausser signed the four-year endorsement deal late last Wednesday night. Lucena signed his deal late last Friday. The deal is set to expire in 2021, but the partners and Rox Volleyball hope to continue to create a legacy long after that. For more information, visit http://www.roxvolleyball.com/. For more information on the RoxVB Series, visit http://www.roxvbseries.com/. Rox Volleyball is a volleyball-focused athletic apparel company founded in 2008 by CEO, Danielle Olson. The RVB commitment is to transcend the world of beach and indoor volleyball apparel by fusing performance, function and fashion. The company, located in Saint Augustine, Florida, has established a USA-based factory, launched a juniors’ national beach volleyball tour, and established itself as the leader in sublimation apparel. For more information, visit www.roxvolleyball.com.